The support roller can bear bigger load, and with good continuous operation performance. The support roller used ZG55, ZG42CrMo and so on material, it not only can guarantee quality but also has the advantages such as bigger bearing load and better continuous operation. Simple structure, easy to adjust and repair. The support roller adopted rolling bearing wheel has the characteristics of simple structure, convenient maintenance. The product has high hardness by normalizing and tempering process. 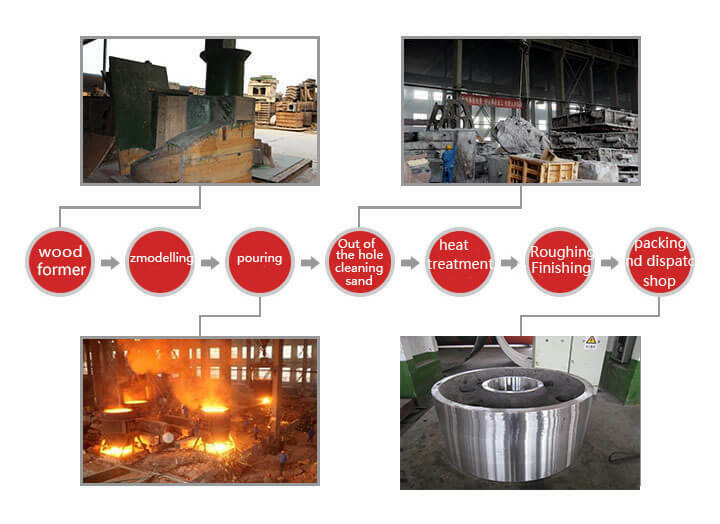 The surface hardness of the final support roller is more than 200HB by normalizing and tempering process. It can guarantee quality of the support roller device of rotary kiln.